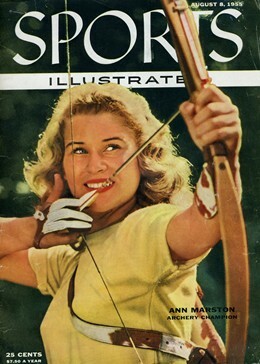 Few archers have received in their lifetime the notoriety that was bestowed upon Ann Marston. 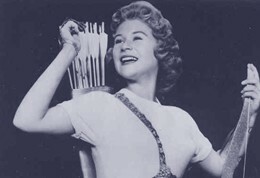 She began winning titles at the age of two months when she was named "England’s Most Perfect Baby"., and went on to be known as "Sweetheart of the Bow & Arrow". 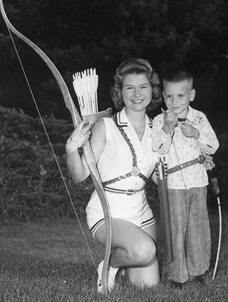 Before her first decade of existence, Ann had captured both the British and American Cadet Archery Championships. 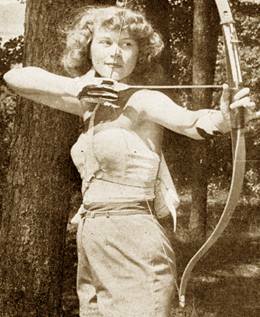 By her second, she had already established herself as an exhibition archer across the country and was well on her way to winning eleven national championships establishing all time records. 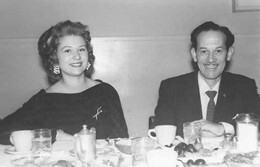 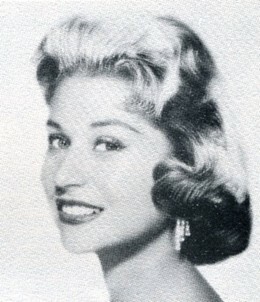 While competing in 1960 Miss America she won the Talent Award, this was the first time a sport related talent won in this category.